Rev. 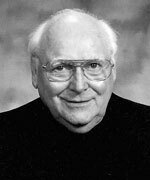 Daniel F. Reardon, CSV, died Thursday, October 28, 2004, at Villa Desiderata Retreat House in McHenry, IL. Fr. Reardon was 72. He was born in Chicago, Illinois on January 24, 1932 and was the son of the late James Joseph and Ann Valeria Reardon. He is survived by three brothers and one sister, Richard M. Reardon, Edward J. Reardon, James J. Reardon, Jr. and Carol Ann Reardon, all of Chicago, and a large number of nieces and nephews. Fr. Reardon professed First Vows as a Viatorian on August 15, 1950 and Final Vows on August 15, 1953 in Chicago. He was ordained to the priesthood in Chicago as well, on May 27, 1961 by Bishop Cletus O’Donnell. Fr. Reardon attended Quigley Prep Seminary High School, Chicago (1945-47), and then graduated from St. Gregory High School, Chicago (1947-49). He attended St. Ambrose College, Davenport, Iowa (1950-51) and Loyola University, Chicago (1951-54), where he earned a B.S. in Biology. For graduate studies, he attended Marquette University, Milwaukee, Wisconsin (1957-61), where he received an M.S. in Biology, Oak Ridge Institute Nuclear Studies, Tennessee (1967), and the University of California, Berkeley, California (1968), where he received a grant for Field Biology. Seminary studies were spent at the Viatorian Seminary, Evanston, Illinois (1957-61), and the Jesuit School of Theology, Berkeley, California (1979-81), where he received a Master of Sacred Theology degree. His early assignments called him to the classroom as a science, math and religion teacher. He served at Spalding Institute, Peoria, Illinois (1954-56, 1962-67, 1971-74), Cathedral Boys’ High School, Springfield, Illinois (1956¬-57), and Saint Viator High School (1967-70). He then served as Chaplain at Harper Community College, Palatine, Illinois (1970-71), as Pastor of Holy Cross Church, Morgan City, Louisiana (1974-79), and St. Martin, St. Mary, St. John the Baptist Church (1983-89), as Associate Pastor for Maternity BVM Church, Bourbonnais, Illinois (1981-84), and as Parochial Vicar for St. Viator Church, Chicago, Illinois (1989-96) and Guardian Angel Cathedral, Las Vegas, Nevada (1996-99). From February to May of 1996, Fr. Reardon spent time in spiritual formation at St. Beuno Center for the Spiritual Exercises. In 1999, he was assigned to Villa Desiderata Retreat House, McHenry, Illinois, as Spiritual Director, where he lived and served until his death. A Wake Service was held on Monday, November 1 from 4-8 p.m. at Villa Desiderata Retreat House, 3015 N. Bayview Lane, McHenry, Illinois 60051. An additional visitation took place on Tuesday from 9:30-11 a.m. at St. Viator Church, 4170 W. Addison Street, Chicago, Illinois. A Mass of Resurrection was celebrated following the visitation. Interment was in the Viatorian Community plot at Queen of Heaven Cemetery, Hillside, Illinois. Please remember our brother Dan and his family in your Masses and prayers. Taken from letter to the Viatorian Community on October 28, 2004 from the Provincial, Rev. 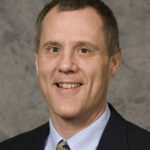 Charles G. Bolser, CSV.